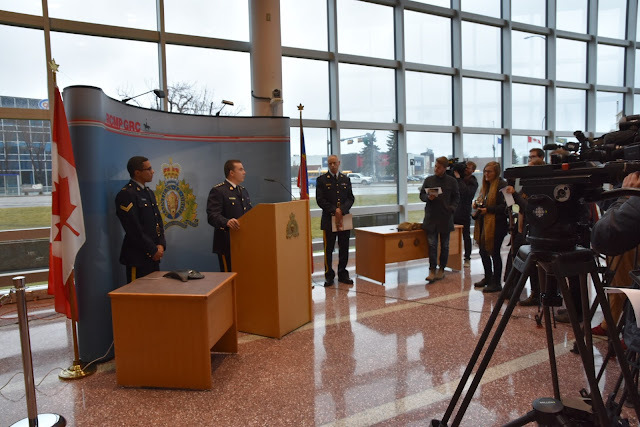 RCMP Alberta - On Friday, October 12, 2018, the Alberta RCMP and Traffic Services discussed the impact of cannabis on police service delivery and provided an interactive drug-impaired driving Checkstop demonstration. In preparation for the legalization of cannabis, the RCMP has increased its capacity in the areas of prevention and engagement, intelligence, security screening, and training. The Alberta RCMP is on track to reach its target goal to train one third of members in Standard Field Sobriety Test (SFST) by 2020. “While the laws surrounding cannabis in Canada are evolving, little has changed for the RCMP when it comes to how to test for drug-impaired driving,” Chief Superintendent Brad Mueller, Deputy CROPS Officer, Core Services. As new cannabis legislation comes into force next week, the Alberta RCMP would like to remind the public that impaired driving, of any kind, is illegal. When motorists follow safe driving practices, such as planning ahead and appointing a designated driver, the risks of death and injury, to themselves and others are reduced. For more tips on preventing drug-impaired driving follow us on Facebook @RCMPinAlberta and Twitter @RCMPAlberta.